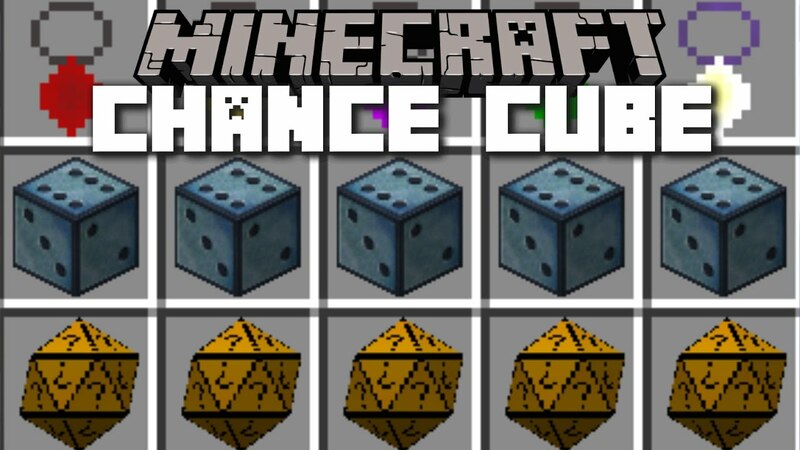 Chance Cubes Mod 1.12.2/1.11.2 is a Lucky Block alternative mod. Explore your world and open these mystical blocks to obtain random rewards. Some rewards are helpful while other can be devastating. From rewards that spawn in hordes of zombies and death traps, to one tbat build full houses and provide next level items, each reward has its own unique twist to make the feel special. This mod is a simple random block mod. It not only provides you with a craftable chance block but also gives you pendants and items to help increase or randomize the luck of these blocks. The Chance Cube is a block added by Chance Cubes. They generate randomly around the world on the surface and emit light. A random effect will occur when the Cube is broken.